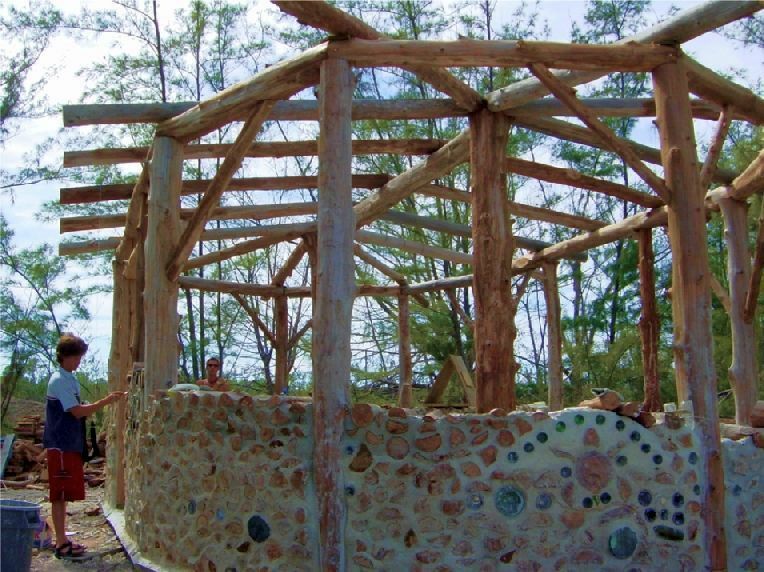 Back in the early 2000’s Ben Falk of Whole System Design https://www.wholesystemsdesign.com/ decided to build a cordwood classroom/workshop on the Island using only natural materials. Ben worked through the Island School and Cape Eleuthera Institute. 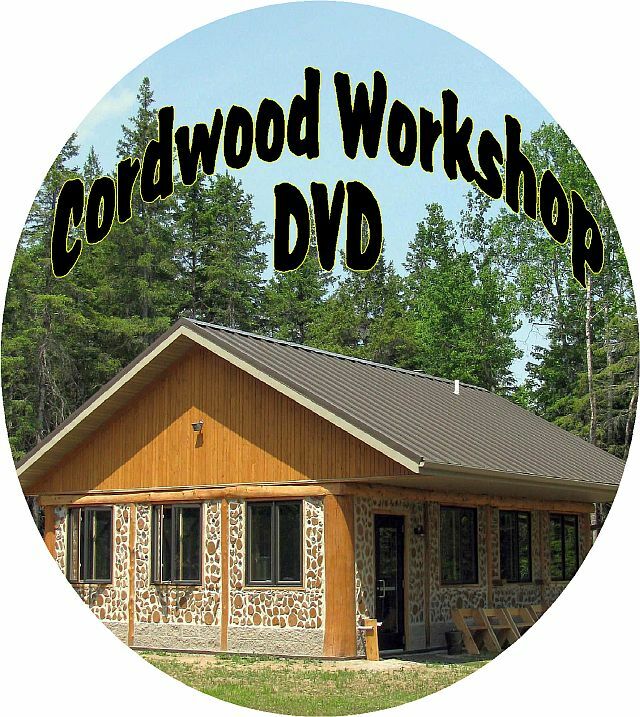 He gathered a type of wood that was considered a weed/waste wood and used for the framework and the cordwood infill. 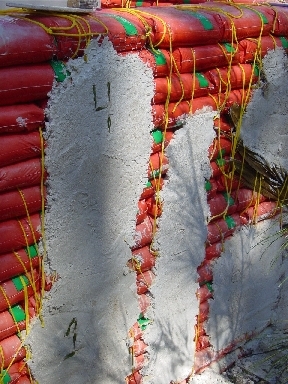 He used sand (never use salt water sand–it won’t bind with the lime) and he slaked his lime from seashells with a hand made pyre. The post and beam framing was done timberframing style with mortise and tenon. The students helped with all the construction activities. 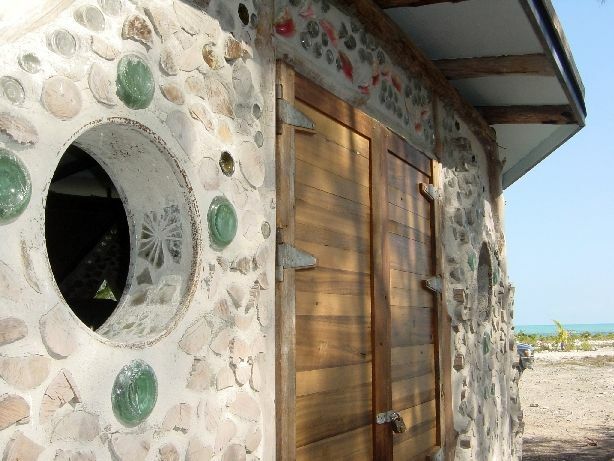 Many fine designs were placed within the cordwood walls: seashells, bottles, wooden patterns, round portholes, etc. 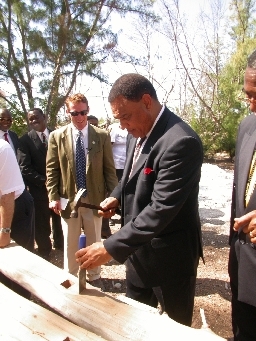 The Prime Minister of the Island came to visit and to chisel a mortise. 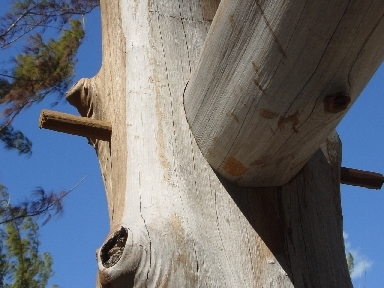 Tying a mortise and tenon with a rebar pin. 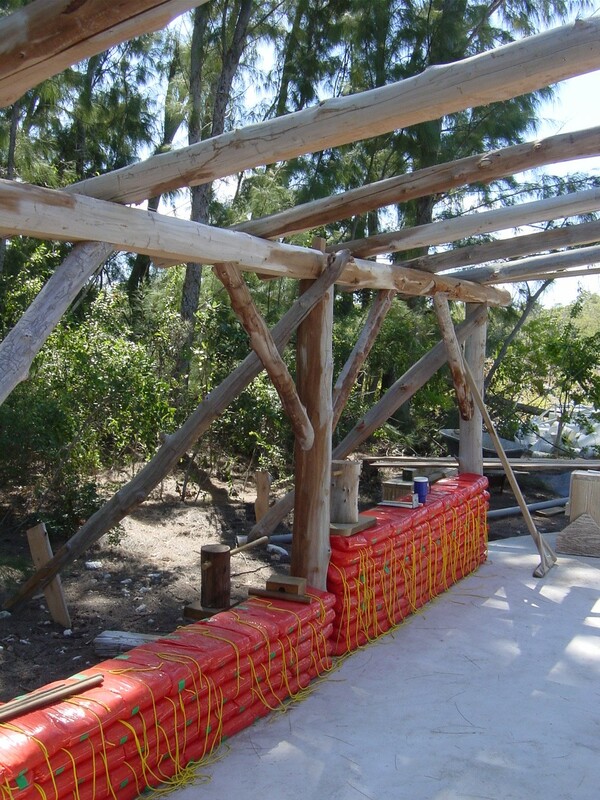 In another natural building experiment, Bio diesel bags (filled with sand) were stacked between the posts, these are being used like an “earthship” and will be stuccoed/cobbed. The earthbags were NOT used as the foundation for the cordwood building. 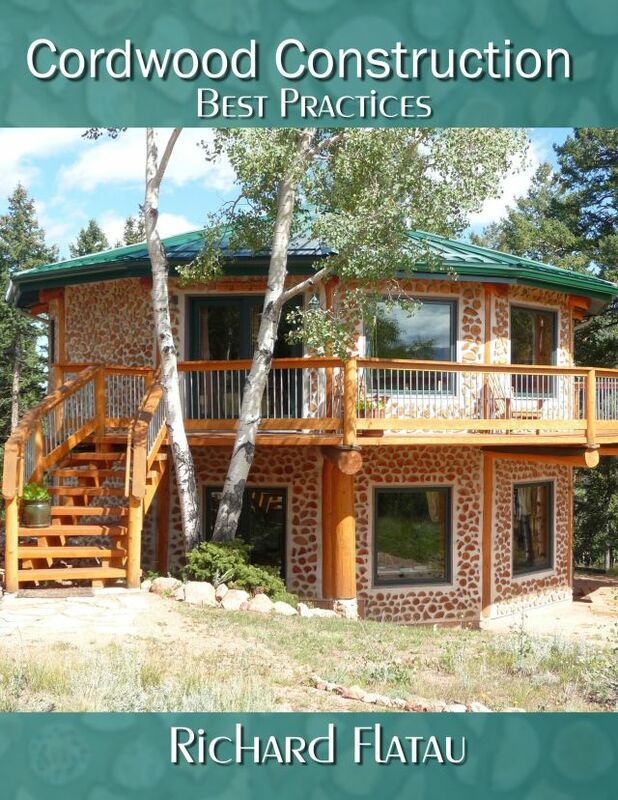 This is a separate experimental building. 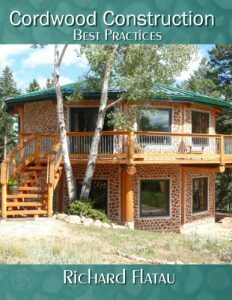 Here is a brief bio about: Ben Falk, M.A.L.D: Design, Planning, Systems OptimizationBen developed Whole Systems Design, LLC as a land-based response to biological and cultural extinction and the increasing separation between people and elemental things. He has been working out of Vermont for the past decade.